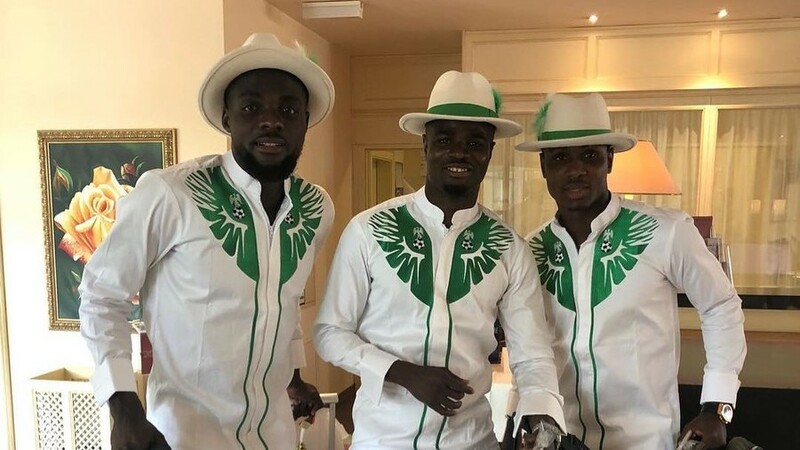 Their sartorial elegance was the talk of Russia and caused a worldwide sensation on social media and though they might not have won the 2018 FIFA World Cup or even made any appreciable mark football wise, there is no question that the Super Eagles certainly won the World Cup of fashion. Their sold-out Nike designed jersey was adjudged the best at the Mundial and when they arrived for the World Cup, they came in matching elaborately embroidered Kaftans and broad hats that got tongues wagging so that even after they crashed out with a whimper to Argentina in the group stages, the Eagles could still point to the fact that they certainly made an impression with their fashion parade in their short time in Russia as attested by the BBC and Vogue Magazine. However, the whole buzz occasioned by their traditional attire seemed to have been facilitated by debt and what increasingly appears to be a calculated attempt by the Nigerian Football Federation (NFF) to swindle a well-meaning Nigerian whose creative genius and enterprise birthed the team’s outfit to Russia. The much-celebrated outfits were the brainchild of Nigerian-Canadian Esimaje Vincent Awani the CEO of Warri based GT-Stitches who won a competitive bidding process and put the outfits together for the entire squad in about 18 days. It appears though that the designer is yet to be paid for his work seven months after the end of the 2018 FIFA World Cup in Russia. In a tweet sent out in the early hours of today, Twitter user Òbí Diẹ̀kọ́ Nèsta (@nattydredskillz) alleges that after over seven months of preparing the Kaftans worn by the Super Eagles to Russia, the NFF are yet to make any payments to the designers of the gear GT-Stitches headed by the Warri based fashion designer Esimaje Vincent Awani. The tweet further alleges that NFF President Amaju Pinnick has been avoiding Mr. Awani and now no longer picks his calls. Mr. Awani is allegedly being owed despite the fact that the NFF were given N1.6 billion naira by the Federal Government for all matters pertaining to the 2018 FIFA World Cup. For a nation that regularly suffers from negative depictions in most of the world’s media, the immense goodwill generated by the Super Eagles World Cup was one of the very few times the world was united in casting Nigeria in a positive light, it seems churlish to say the least for the person whose labour of love and patriotic fervour fuelled the huge wave of global goodwill to be treated in this manner.